Relax after a hard day with a beautifully compact flame-effect heater that delivers all the delicious warmth and cozy ambience of a wood fire with none of the mess or smoke. 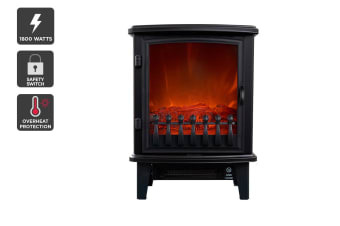 Bring the radiant glow and dazzling warmth of a traditional fireplace into your lounge with the modern and portable Kogan 1800W Compact Flame Heater. 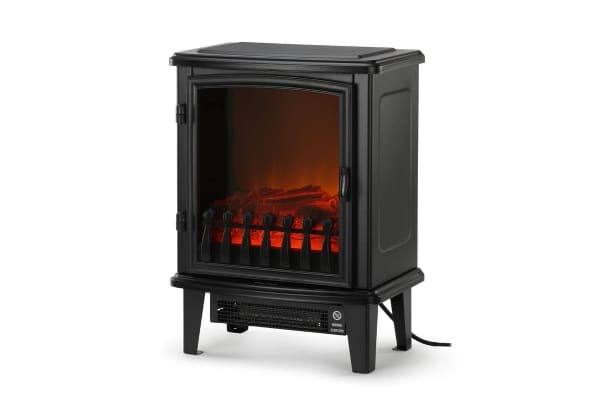 Built to look like a traditional wood stove with a matte-black cast iron finish and single pane window, this compact heater oozes heat with 1800W of power to take the chill off the air, and a separately controlled fire simulation to make it a feature in any room, cold or not. 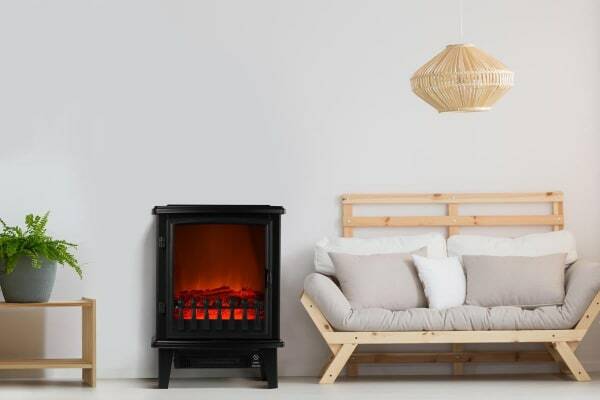 More than just a beautiful feature piece, the flame heater is designed to turn off automatically if its detects that it has been tipped over or if the heating element overheats, so you can bunker down on cold evenings knowing your home is safe.